We celebrate with cake. Butchers celebrate special occasions with charcuterie (bacon, sausage, ham and all the meats cured and sliced). After five years in the East Bottoms, the Local Pig (and attached sandwich shop Pigwich) is moving to the City Market in December. This Friday, it will be open in its original location at 2618 Guinotte Ave. for the last time. The City Market (20 E. 5th St.) is holding a Very Merry Market on Friday and Saturday from 9 a.m. to 3 p.m. The pop-up craft fair will feature local jewelry makers, pottery and Hemme Brothers cheese. The vegetables may very well be the star at a new chicken joint from chef Carlos Mortera, who also owns and operates The Bite in the City Market. 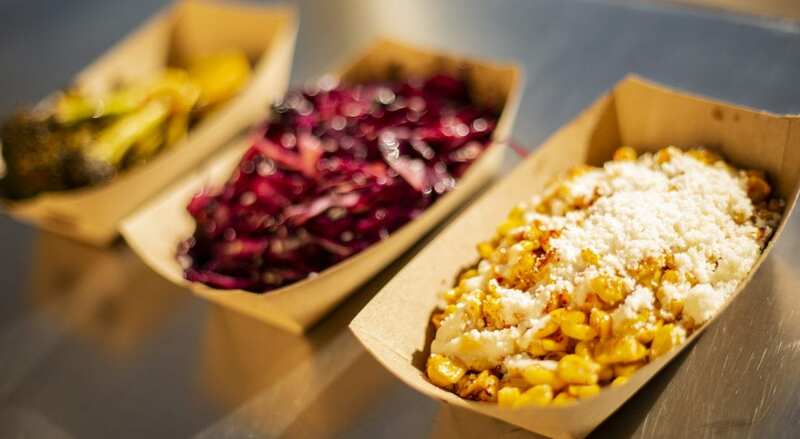 Poi-O (1000 W. 25th St.), which opened last week in the former Speak Sandwiches space, dishes up charred broccoli, Asian red cabbage slaw and elote with half or whole chickens. You may not be a wizard (yet), but there’s no reason you can’t party like one. Broadway Arcade (1000 Broadway Blvd.) hosts a Harry Potter Party on Saturday from 8 p.m. to 3 a.m. Come in costume and admission is free. Did you know it’s Small Business Saturday? Waldo celebrates buying local from 10 a.m. to 4 p.m. Saturday. The Waldo Business Association (7222 Wornall) will be giving out passports that entitle you to discounts at neighborhood businesses like 20 percent off growlers at Mike’s Wine & Spirits (they’ve got a new collaboration IPA, Y-Zah with Double Shift Brewing Co.) or free cookies at The Classic Cookie. When you go to KC Pinoy (1623 Genessee St.), just put a fried egg on whatever you order. The Filipino food truck-turned-brick-and-mortar spot is open in the former West Bottoms Kitchen space. As the restaurant slow-ramps up its hours, they’re open from 11 a.m. to 2 p.m. for lunch today, tomorrow and Saturday. The Plaza III Steakhouse is open. The Kansas City stalwart has moved from the Country Club Plaza to 12631 Metcalf Ave. in Overland Park, Kansas. The steak soup is the restaurant’s best-knowndish, along with classics like steak tartare and oysters Rockefeller. Steak is served a la carte and can be gussied up with french-fried onion straws, grilled asparagus or seven kinds of potatoes. Lunch is served from 11 a.m. to 3 p.m. daily. Dinner is from 3 to 10 p.m. Sunday through Thursday, and 3 to 11 p.m. Friday and Saturday. Learn about the art of a Japanese tea ceremony ($20) at the Merkaba Wellness Center and Spa (843 New Hampshire St., Lawrence, Kansas) from 4:30 to 6 p.m. Saturday. Ayako Mizumura will talk about the history of tea ceremonies and lead a demonstration featuring matcha tea and pastries made by Bimi Bakery.